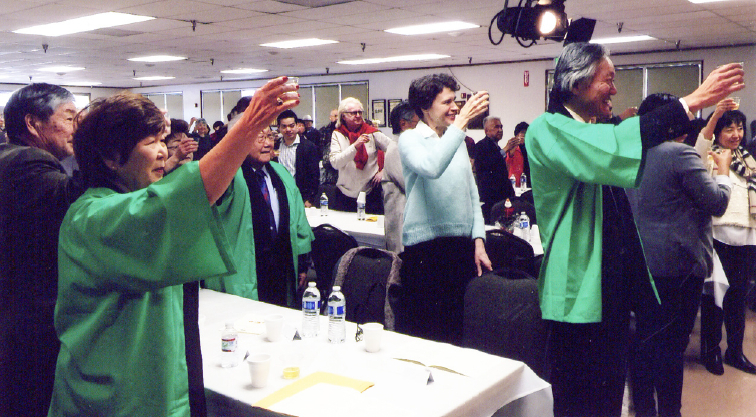 Consul General Harry Horinouchi and his wife Sabine join in a toast at the San Fernando Valley Japanese American Community Center’s New Year’s luncheon on Jan. 9. PACOIMA — The San Fernando Valley Japanese American Community Center held its New Year’s luncheon on Jan. 9 in the SFVJACC’s Dr. Sanbo Sakaguchi Hall with close to 200 people, including Consul General Harry Horinouchi and his wife Sabine, in attendance. Kimiaki Chiba was master of ceremonies. Paul Jonokuchi was re-elected to serve as president for 2016. Senior advisor Kenji Watanabe, Consul General Horinouchi and Jonokuchi performed the traditional kagami-biraki ceremony. SFV Taiko, the center’s Hawaiian hula class and the minyo group Matsutoyo Kai provided entertainment. 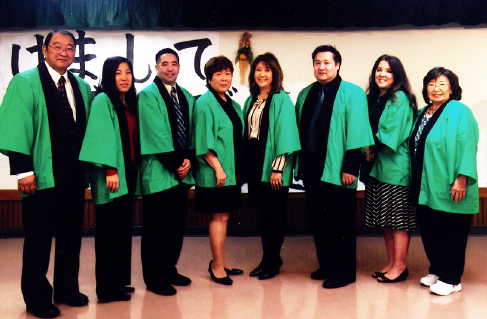 SFVJACC Board of Directors (from left): Paul Jonokuchi, Lisa Sugino, Bing Lau, Nancy Oda, Akiko Manaka, Danny Okazaki, Denise Tanaka and Liz Doomey.